The larvae of the Dusky Birch Sawfly are often mistaken for caterpillars. 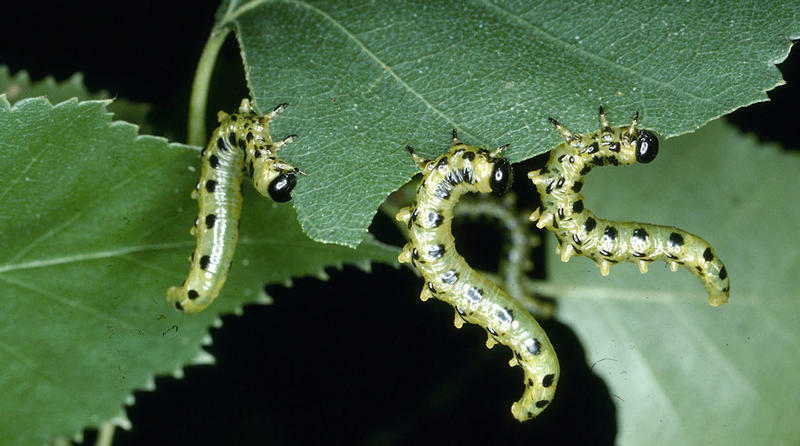 The Dusky Birch Sawfly is a stingless wasp. As the common name implies, its prefered food plant is the River Birch.